The Cube includes nearly everything our mobile inspection systems offer in a portable, self-contained CCTV inspection work station. 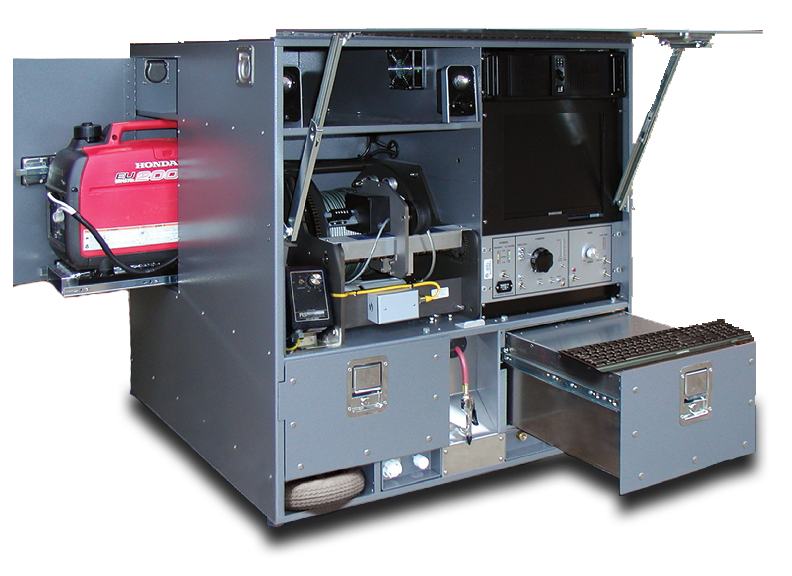 This is the perfect pipeline inspection system for easements, off road manholes or any hard to get to situation. This little workhorse of a system is ideal for easement work or those organizations who want the power of a full mainline system in a free-standing, highly mobile format. Housed in quarter-inch powder coated, glare resistant aluminum, The CUBE has forklift access both front and rear along with stainless steel lift and tie-down hooks for easy handling and storage.